Hospitality brand Taj Hotels recently launched the Taj Swarna in the city of Amritsar, and took to social media to spread the word. In order to generate buzz around the launch of Taj Swarna, and highlighting the various offerings and services from the hotel, #TajInAmritsar was formulated to create maximum impact and awareness on social media. Building a strong connect with the city of Amritsar and its rich heritage, the brand kickstarted their campaign activity on social media with a GIF that reflected the legacy of Amritsar. Relying upon the visual appeal of the beautiful city, the brand followed the GIF with images that were shot across the city of Amritsar to highlight the presence of #TajInAmritsar. 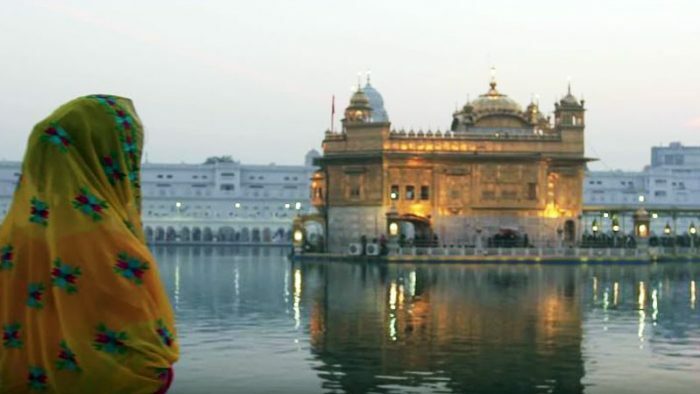 As the campaign was gaining momentum, ‘Open Your Heart to Swarna’, a video created specifically for #TajInAmritsar debuted on social media, with an aim to showcase the beauty and warmth of the city, the vibrancy of the historic and religious landmark, the Golden Temple and the generosity of the people of Amritsar. Through the campaign, Taj Hotels wished to weave a strong connection between the city of Amritsar and the Taj Swarna, which was achieved through rich visuals captured in photographs. Two more videos followed on Taj Swarna’s official Facebook and Twitter handles, one of which explored the newly inaugurated Taj Swarna’s architecture and their services. Additionally, Taj Swarna attempted to attract social media users with a discounts and offers that gave them a chance to avail services such as the spas, fine dining and others at discount prices. Complementing their campaign with a social media contest, #TajInAmritsar asked interested users to share screenshots from their videos, to tell the brand about what activities or places they would love to visit when they visit #TajInAmritsar. #TajInAmritsar delivered an overall campaign outreach of more than 1.4 Million, with the launch video garnering a whopping 1.5 Lac views, 2.50 Lac people reached and more than 6000 engagements. Combined views accumulated by all the three videos were around 200k. The campaign delivered a growth of around 18.34% on Facebook, 144.44% on Twitter and 136.54% on Instagram. On Twitter, over 267k tweet impressions were delivered by the campaign, and on Instagram, an outreach of 73k was observed. The #TajInAmritsar contest received more than 600+ entries, and an outreach of 1.35Million. Taj Swarna also interacted with social media users, answering their queries and thanking users for their positive comments. Through #TajInAmritsar, Taj Swarna succeeded at putting the word out, and establishing a connection with the city of Amritsar in the minds of social media users across the country. For detailed insights take a look at the PPT.